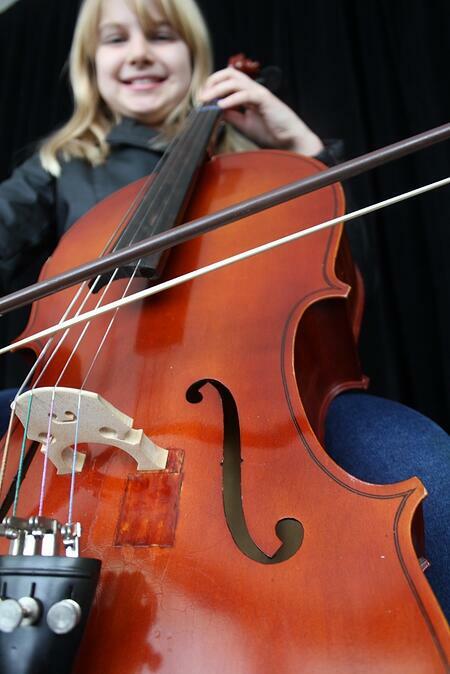 Hunterdon Academy of the Arts offers individual instruction on violin, viola, and cello for students of all ages and abilities, from beginners to professional college level. Study with some of the best violin teachers in New Jersey! Schedule your First Violin, Viola, or Cello Lesson today! For young beginners, we generally recommend taking group music classes before moving on to private lessons. Private lessons are available in 15-minute (for very young beginners), 30-minute, 45-minute, and 60-minute formats. Violin is a tricky instrument to learn. We therefore recommend that violin students are at the very least 6 years of age; younger students simply do not yet have the fine motor skills, and attention span, required to succeed. Students should own, or at least have regular access to, a suitable instrument for practice purposes. Young violinists need to be careful to choose the right violin size. Learn more about the proper violin size for your child. Private lessons are available in 15-minute (for young beginners), 30-minute, 45-minute, and 60-minute slots. 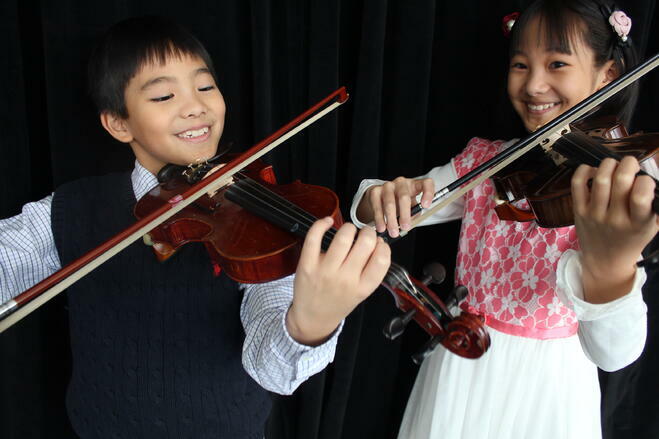 Schedule Your First Violin, Viola, or Cello Lesson!